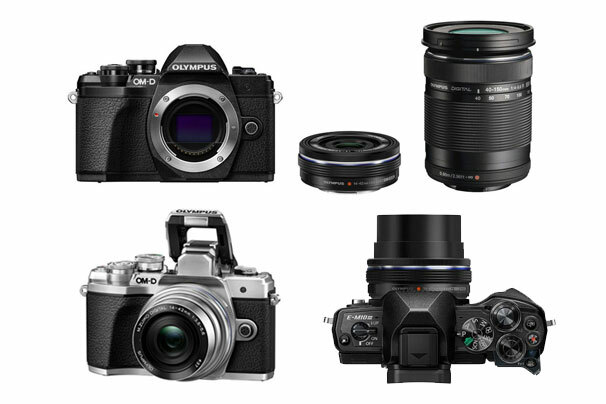 The Olympus OM-D E-M1X: Is Bigger Better? Olympus have made a big move with the release of their brand-new flagship camera the OM-D E-M1X and to celebrate they invited us to the Hunter Valley to test out how the camera handled extreme fast-paced action. Our first stop was a dirt track with a couple of rally cars that flew around covering us in a fine layer of dust. We weren't afraid to get our hands or the camera dirty so we grabbed a 12-100mm lens to test out the new autofocus tracking system. Using AI, the camera can detect and track 3 different types of subjects: cars and motorcycles, planes and helicopters, as well as trains. The algorithm starts tracking subjects before you even press the shutter and when you half-press, the camera springs to life, locking onto your subject and relentlessly holding focus throughout the frame. Once the drivers were satisfied that we were covered in enough dirt we moved on to our next challenge, shooting a stunt plane pilot performing a series of elaborate aerial manoeuvres using the 12-100mm lens and the 300mm telephoto lens. You can see how accurately the autofocus system performed from the video below, which is constructed entirely from JPEGS straight out of the camera, shot in the 18fps burst mode. Let’s be real for a second though and ask the question that is on everyone’s lips. Why release a bigger camera while other manufacturers are focusing on making cameras that are smaller and smaller? 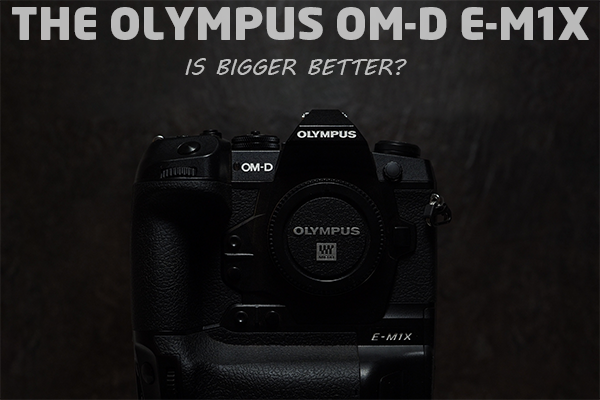 With the E-M1X Olympus are making the statement that in some situations smaller is not necessarily better. The grip has been precisely designed to allow for seamless switching between landscape and portrait orientations while at the same time greatly improving the balance of the system when shooting with long telephoto lenses. But it isn’t just that that the camera is more ergonomic and comfortable to use, it also packed with power, boasting dual image processors and a heat dissipating venting tube. 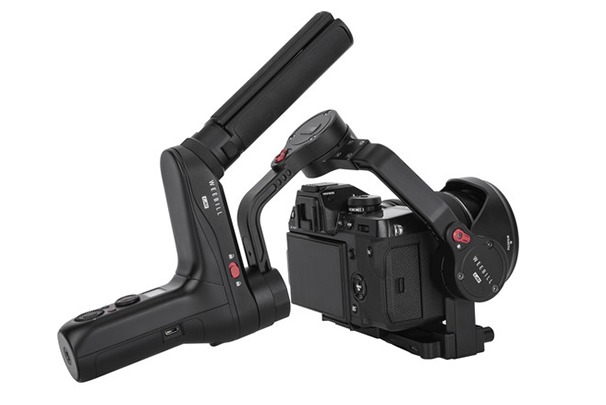 The grip also includes dual batteries that effectively double the shooting time of the camera. Olympus have taken the release of the E-M1X is an opportunity to flex their muscles and show off what they're capable of. They’re confident that once photographers get their hands on the new camera, they will be converted. Who is the OM-D E-M1X made for? 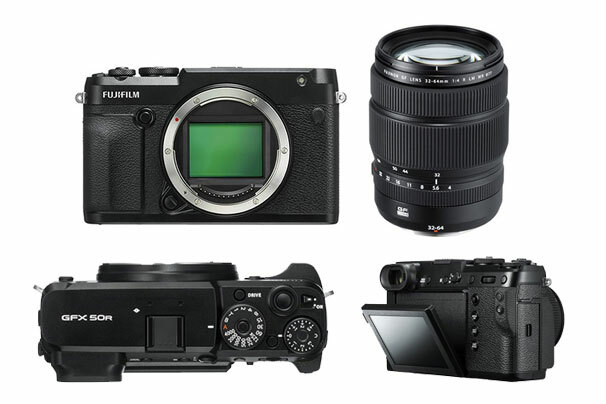 Firstly, The E-M1X is not aimed the same shooters the most recent batch of mirrorless cameras are designed for. It is instead aimed squarely at the high end of the professional market and if you think about it that makes sense. Olympus already produce some of the most compact and portable mirrorless systems with models like the E-M5 Mark II and the E-M10 Mark III, so why not focus on making a camera that instead combines the weight savings of mirrorless with the performance and ergonomics that are an industry standard for professionals. And that is exactly who Olympus have designed the E-M1X for. The wedding photographers, photo journalists, portrait, nature and sports shooters. In short, if you pick up a camera to make a living, they designed this camera for you. So why are they so positive that this new camera will appeal to professionals? 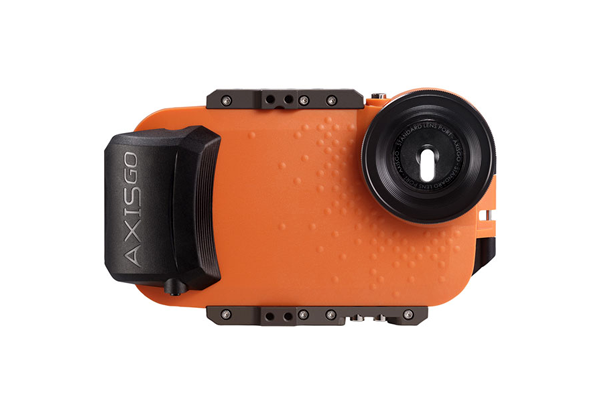 It’s built like a tank, with improved weather sealing that surpasses the IPX1 standard and a super durable shutter unit rated for 400,000 actuations. We shot in super dusty conditions on a hot Australian summers day and tested the splash proof construction and the E-M1X didn't miss a beat. Quality is key. It doesn’t matter how in focus your shot is, if you don’t have excellent image quality nothing else really matters. As professionals, clients expect you to be able to deliver the absolute best. The E-M1X delivers image quality and then some by introducing the new handheld pixel shift mode. The camera uses the in-body stabilisation system to move the sensor several times, capturing images at different positions and then merging the shots together to produce an ultra-high-resolution final image. Because this method takes several photos it means that even the slightest movement can ruin the shot, requiring that the camera be set up on a tripod. That is until now. The Olympus EM-1X can produce handheld pixel shifted ultra-high-resolution images with a whopping 50-megapixels and it can do that at shutter speeds as slow as 1/60 of a second. Olympus were one of the first manufacturers to incorporate in-body stabilisation or IBIS into their line-up and they’ve been refining the technology for years. Their latest innovation, the EM-1X offers an impressive 7 and a half stops of image stabilisation when paired with their 12-100mm f/4 lens, or 7 stops with other Olympus glass. Just to provide some context of what that means, 7 stops is equivalent to increasing your ISO from 100 to 12,800 or shooting with a shutter speed of a 1/4 of a second rather than 1/500th of a second. So, if you can picture the difference between those settings would have on your image and then add another half a stop that’s the advantage the system can offer. While we were at the Hunter Valley, we got the chance to speak to Olympus Australia visionaries; Nick Ghionis and Michael Hurren to find out their thoughts about the new camera and the Olympus system in general. From the time we were given the cameras to the time we reluctantly handed them back, the performance of the E-M1X was nothing short of incredible. Overall the high-speed capture ability of up to 18 fps with AF/AE tracking was super impressive, but for us the big stand-out features were the industry leading 7.5-stops of image stabilisation and ‘Intelligent Subject Detection’ autofocus. Find out more about the camera by following the link below. An interchangeable lens camera such as a DSLR or Mirrorless represents the cream of the crop in the world of camera technology. 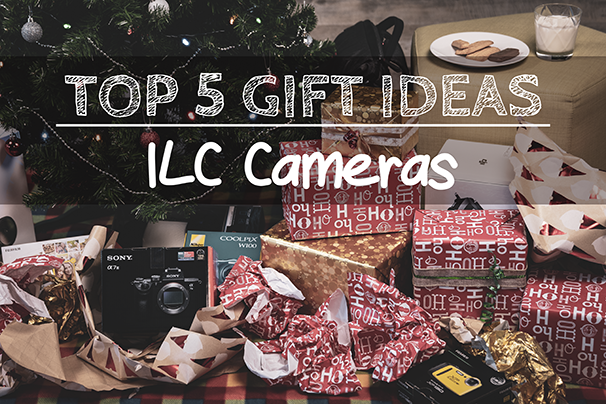 Regardless of whether you’re a beginner looking to step up from your smartphone or compact, or an experienced shooter seeking the right tool to break through your creative boundaries, this Christmas we’ve got suggestions across all photographic levels. 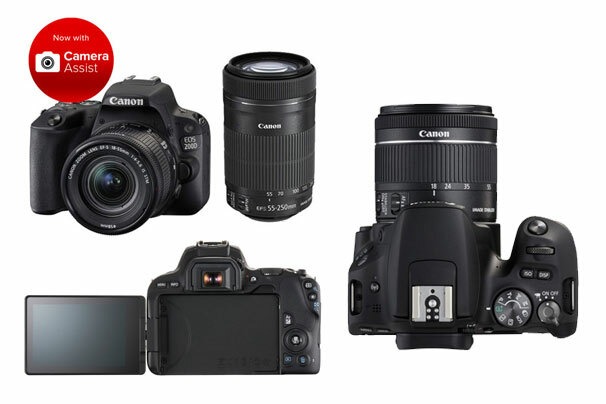 The Canon EOS Twin Lens Kit represents the perfect platform for students and those new to photography. Its 24 Megapixel sensor and dual pixel AF technology ensure it’s capable at both stills and video. The twin lenses ensure zoom coverage up to 250mm, perfect for that next overseas holiday or family vacation – Save $235. Limited Time only. The Olympus E-M10 III twin kit is the perfect travelling companion. Its lightweight retro styled design is a delicate fusion of fashion and function. 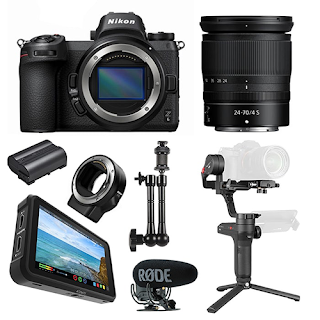 With a 5-axis in-body image stabiliser and 4K video recording capabilities, it can handle a broad range of shooting scenarios, while maintaining a discreet profile – Includes $150 Visa Giftcard. Ending Soon. 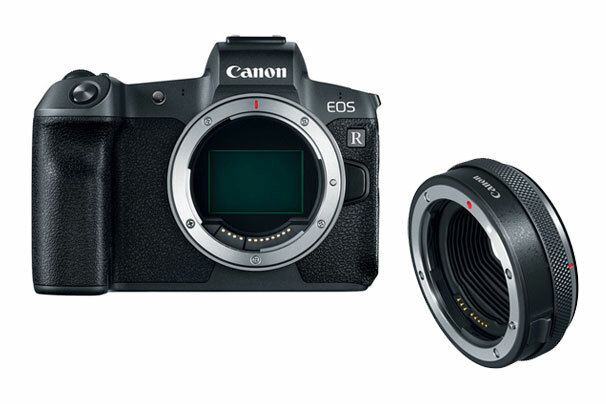 The Canon EOS R was one of the most highly anticipated releases of 2018. Combining a compact, lightweight mirrorless body with their Dual Pixel autofocus technology, plus excellent backwards compatibility with their EF range of lenses has ensured early success for this popular release. 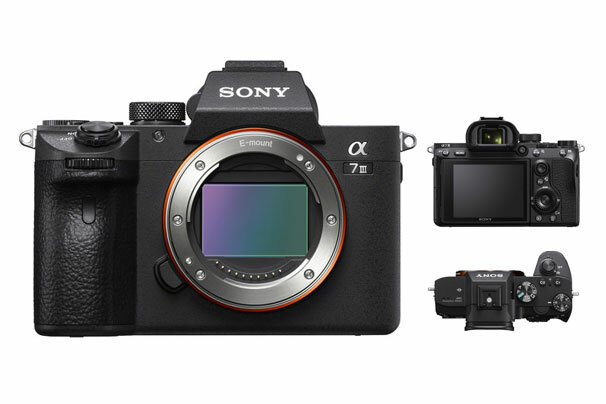 The Sony A7 III ticked enough boxes for enough people for it to win the coveted EISA 2018-2019 Camera Of The Year award. So popular was its debut that there was a global shortage while manufacturing worked to keep up with demand. With a 24 Megapixel sensor, 5-axis image stabilisation, 4K video recording and an amazing 693 autofocus points, it’s easy to see why. We’ve secured limited stock for Christmas, so get in quick to avoid disappointment. The Fujifilm GFX 50R is revolutionising the medium format category. The 50R crams a massive 51.4 Megapixel medium format sensor into a rangefinder style body, enticing photographers who would not traditionally consider medium format because of its size to make the switch. To sweeten the deal this Christmas, we’re offering a $1000 discount with all GFX 50R Camera and Lens combos, plus claim up to $750 Cashback from Fujifilm via redemption. What’s that in the sky? Is it a bird? Is it a plane? Is it superman? Nope, it’s a drone. Drones have really taken off in popularity in the last couple of years and there are now hundreds of different types to choose from. But how do you know which one is perfect for someone looking to get into flying and which is the perfect upgrade for the pilot in the family looking to step up to the next model? We’ve got some suggestions for you below. This tiny little pocket-sized drone has a 5-megapixel camera and can perform acrobatic manoeuvres with the press of a button. The Tello can be controlled in real-time direct from a smartphone and launches from the palm of your hand. 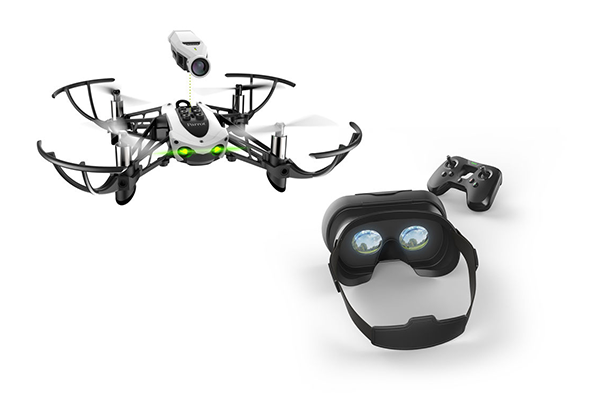 With impressive agility and speed the Parrot Mambo Mini-Drone includes a headset so you can see a first-person-view while flying the aircraft. Just connect your phone and use the controller to pilot your way around obstacles and perform acrobatic moves. The drone even allows you to replace the camera with extra accessories like the Mambo Cannon or Grabber tool. One of DJI’s most popular drones to date is the Spark. 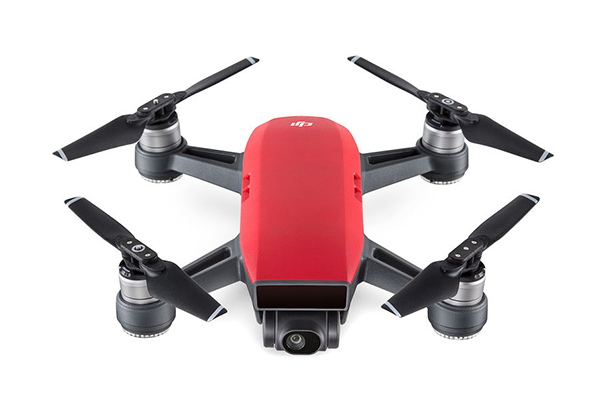 Able to be controlled by simple hand gestures the Spark is available in a choice of colours and weighs only 300g. It has a 2-axis stabilised gimbal and records Full HD video, 12-megapixel stills and is available in a “Fly More Combo” pack that includes a controller, an extra battery, spare propellers, propeller guards, a charging hub and a shoulder bag. Boasting a super-compact folding design, the DJI Mavic Air is the perfect upgrade for someone looking to start shooting 4K. It introduces intelligent flight modes like ActiveTrack and QuickShots that make it even easier to capture great looking aerial shots. 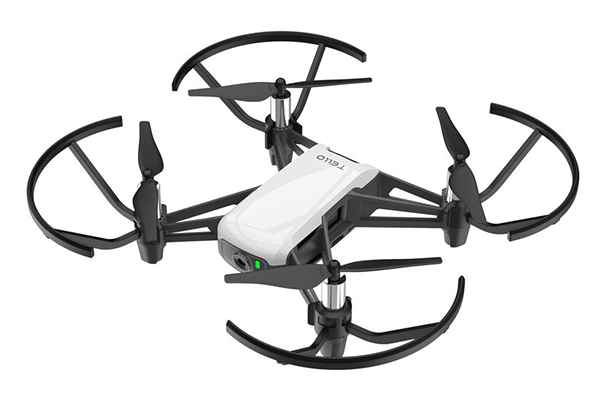 It has a lightweight 3-axis gimbal, captures slow-motion Full HD video at 120fps and has a 3 directional Environment Sensing System that keeps it airborne and away from obstacles. 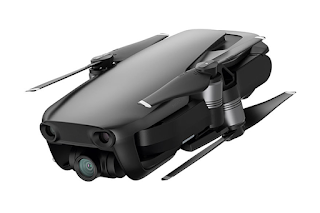 One of the most sought-after drones to be released this year has to be the DJI Mavic 2 Pro. Built on the success of the hugely popular Mavic it offers a dramatically improved camera system designed in partnership with Hasselblad. With an adjustable aperture, 10-bit video and a flat colour profile the difference between the old and the new are very noticeable. 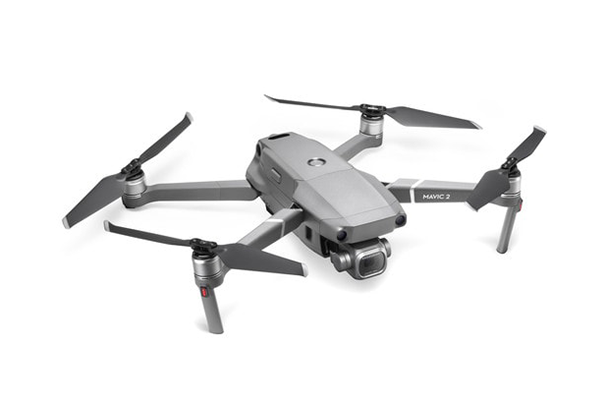 It also delivers a massive 8km transmission range, Full HD live stream for piloting and an omni-directional obstacle detection not to mention a host of new flight modes to take your aerial film-making to new heights. This list is only a quick taste of some of the newest and most note-worthy drones available, but this list is by no means comprehensive. Check out the drone section on our website to see the whole range of drones that we carry and if you have any questions you can always contact the DCW team to find out more. In this Top 5, we’re breaking down some of our favourite camera backpacks. 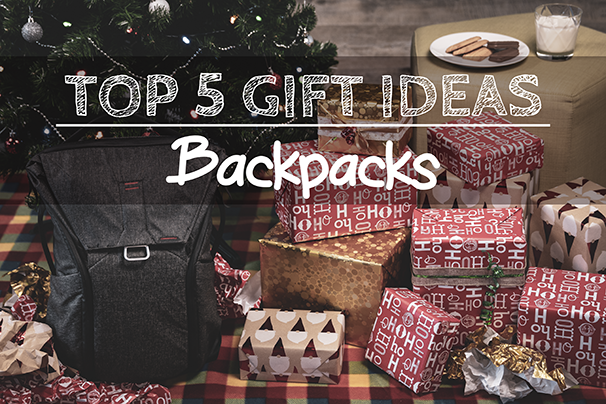 Bag shopping is a tricky subject, especially if you’re doing it for someone else. But fear not! We’re here to help. Below, you’ll find a range of different sizes and price points to suit your gifting needs. We’ve also listed why we think they’re great, and what kind of photographer they might work for. Kicking things off is the super-affordable ATF Diaz backpack. 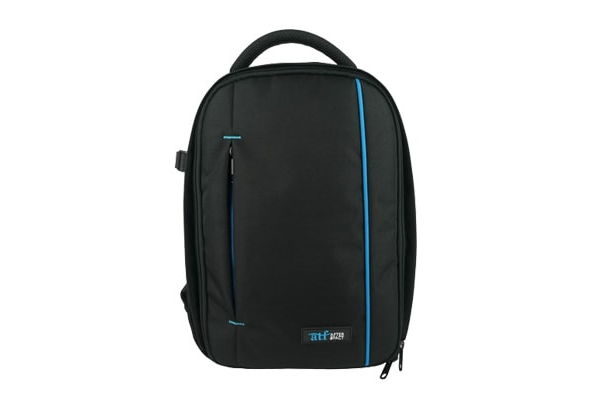 Its well-padded, customisable interior can hold a DSLR or mirrorless camera with 3-4 lenses. 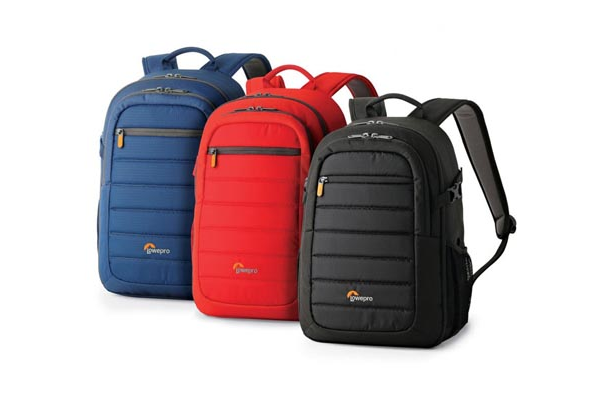 There’s accessory pockets too, including one for a 12-inch tablet and even an external tripod carry strap. It makes an excellent first camera bag. The LowePro Tahoe 150 backpack is another small, lightweight backpack with an ultra-customisable interior. It’s ideal for a mirrorless kit with 3-4 lenses, plus accessories. Accessory pockets keep all your small bits and pieces organised, making it a great daypack option. 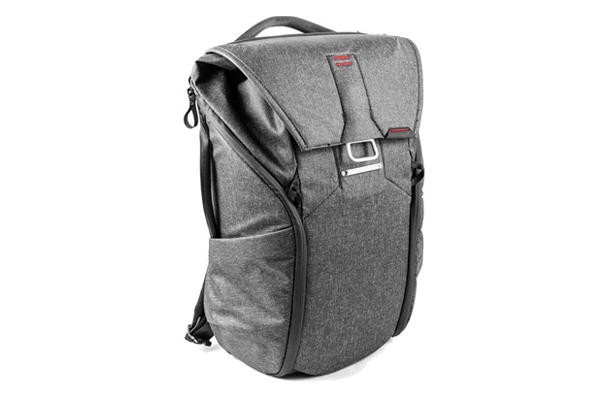 Starting to get into more serious territory is the Manfrotto Advanced Tri Backpack. It fits a camera and up to 5 lenses along with accessories and personal items. 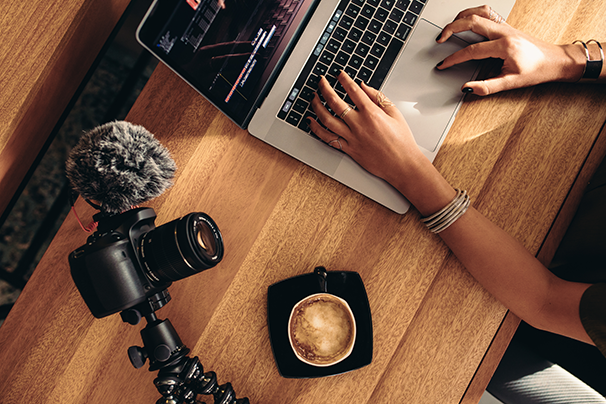 You can also carry a 15-inch laptop and a tripod externally. With 3 different ways to wear the bag, it’s perfect for active photographers. 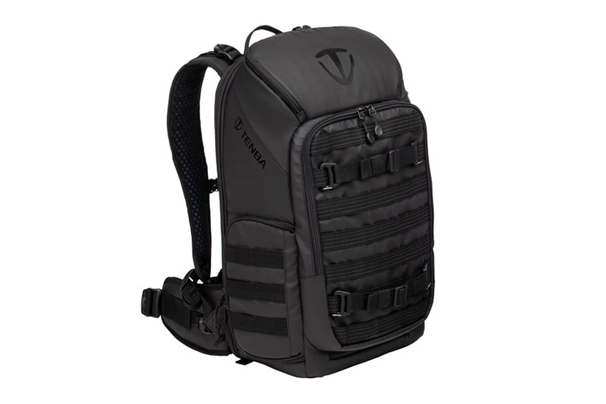 Tenba’s Axis 20L backpack has a very tactical look that might appeal to more urban or outdoorsy shooters. There’s plenty of ways to attach more storage or other accessories to the outside of the bag. It’s also super-durable, so it’s a great choice for getting out into nature or just everyday life. 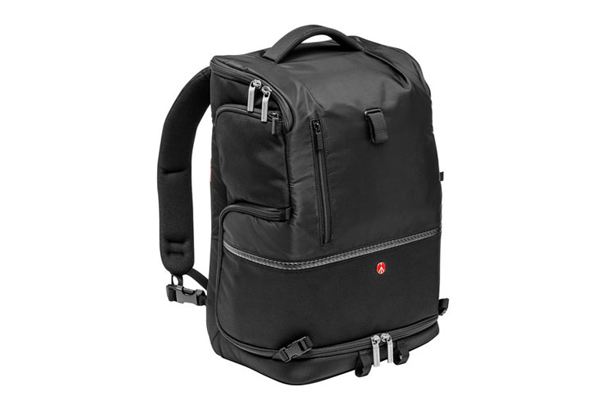 The Peak Design Everyday backpack sits at the premium end of this category, combining function and good looks, something a lot of photographers desire. It doesn’t look like a photo bag, which is a more inconspicuous for travelling, but also means you can use it every day. Just like the name says. If you’re still having difficulties, just give us a call or drop us an email or comment! The team at DCW is always happy to have a chat about gifts and gear! Also, be sure to check out our ‘Gift Shopping for Photographers Cheat Sheet’ from last year! It’s still full of great shopping tips and ideas. 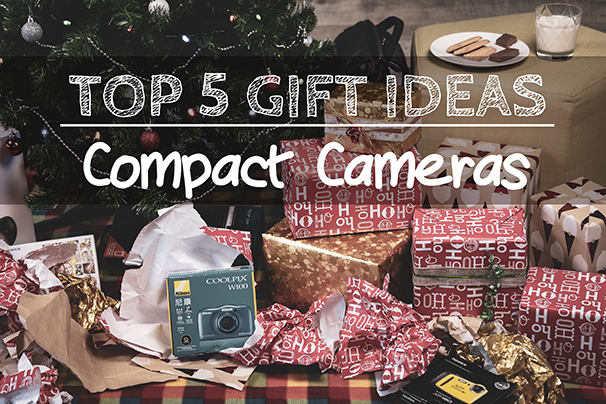 Compact cameras make a popular gift at Christmas. With so much going on at this time of the year - family get togethers, dinner parties, school holidays, overseas adventures, it’s natural to think about the best way to capture those memories and turn them into stories that you can relive forever. 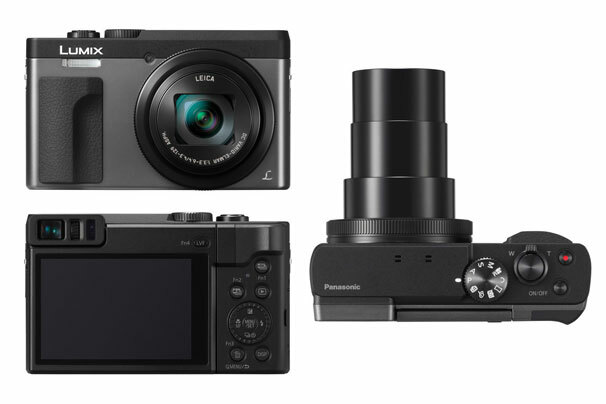 Here’s the cheat sheet to our best Compact Camera deals and hottest products this Christmas. The Canon IXUS series is synonymous with affordable, easy to use cameras that deliver high image quality in a pocket-sized form factor. 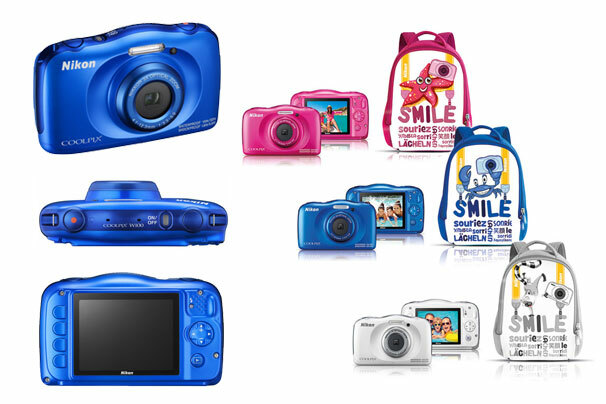 The IXUS 185 follows this tried and tested formula with a 20 Megapixel sensor, 8x optical zoom and 2.7-inch LCD screen. 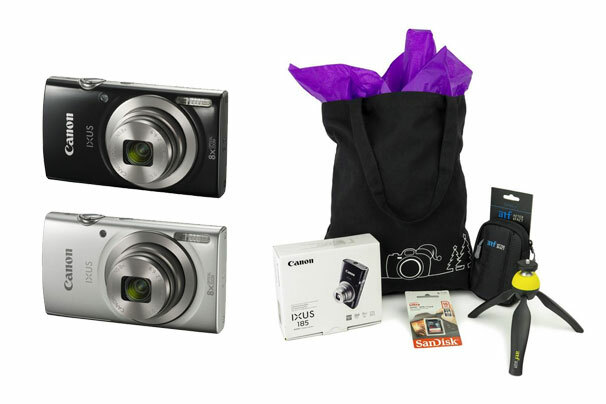 Our exclusive Christmas Gift Pack comes with a memory card, mini tripod and carry case to equip you with everything you need to make memories this Christmas – Save $20.00 + Bonus Tote Bag! The TZ90 set a new standard for compact travel cameras. Despite its pocket-sized design, it hides an 20.3 Megapixel sensor and impressive 30x optical zoom with 5-axis image stabilisation. 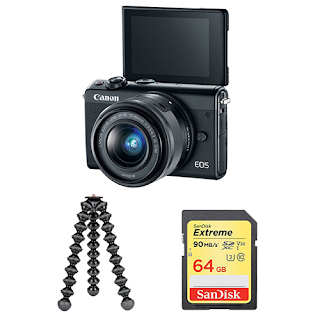 Add 4K video recording, Wi-Fi for instant image transfer, plus a large 3-inch LCD touch-screen and you’ve got a camera that can truly capture those unforgettable stories from your next holiday – Save $30! Be Quick! Do you prefer the sun, sand or snow over the sights and sounds of a big city? 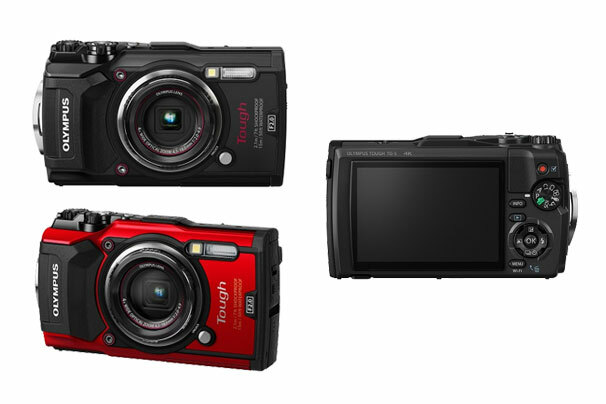 The Olympus Tough TG-5 is designed for holidaymakers that seek the path less travelled. Its waterproof, shockproof, crushproof and freezeproof design allows it to go anywhere your adventure takes you. A 4x zoom lens with a bright f/2 aperture captures your best moments, while built-in GPS makes it easy to retrace your steps and relive journey one photo at a time. 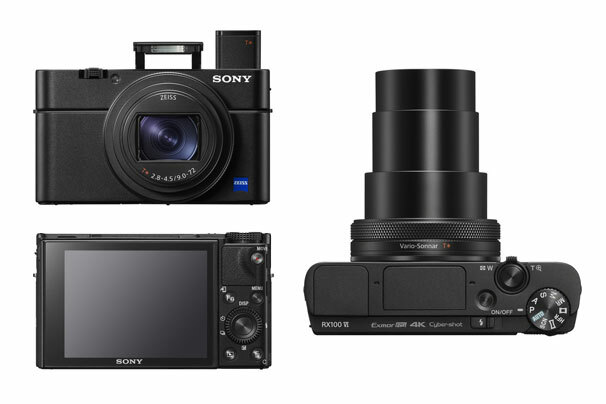 The Sony RX100VI is the definition of a premium compact. Ideally suited to vloggers, travel junkies or as a secondary camera for professionals, it houses an impressive 24-200mm telephoto zoom lens with optical image stabilisation, 4K video recording and a handy pop-up EVF for better usability when shooting in bright daylight conditions. 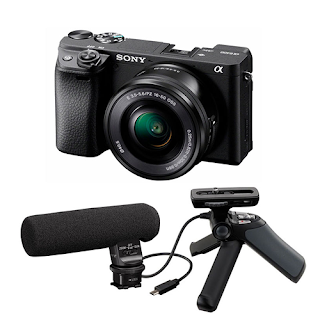 We’ve sweetened the deal by throwing in a bonus genuine Sony battery worth $66 and a remote shooting grip worth $215. But be quick, this bonus items are while stocks last. 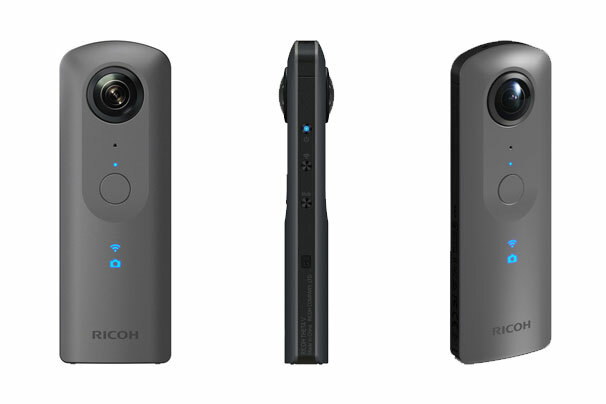 Capture everything around you with the Ricoh Theta V 360° camera. Capable of shooting immersive 360° stills and video, it’s a great option for anyone looking to add something unique to their creative toolkit. 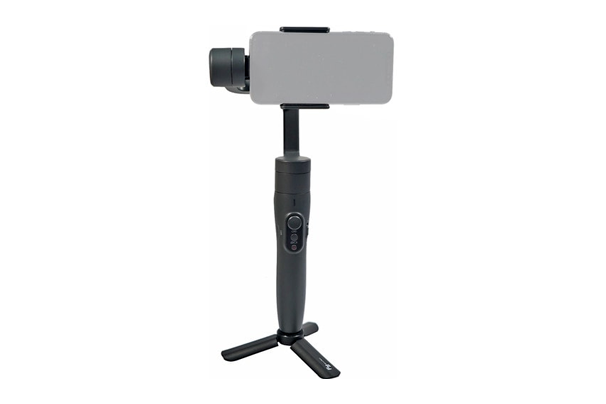 Create photos and video that are compatible with Virtual Reality headsets, or live stream 4K 360° video via your smartphone and the YouTube Live platform. Many of us are using Smartphones in one way or another, but especially for taking pictures. Phone photography is just about everywhere these days and, with how great the cameras are getting, it’s safe to say it’ll be part of our future for a good long time. Still, there’s easy ways to make it look even better. 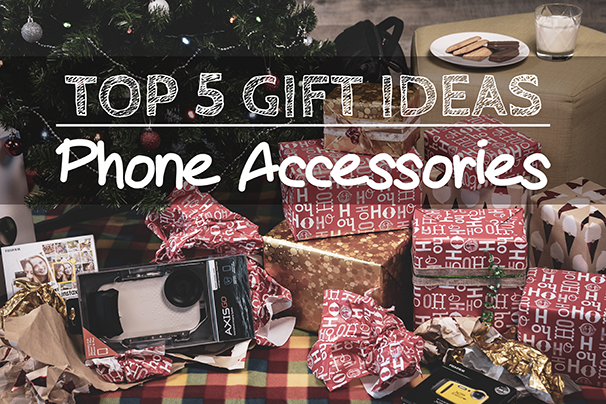 We’ve collected a few cool gift ideas and specials that can help make a difference to Smartphone image and video quality. Check them out below! 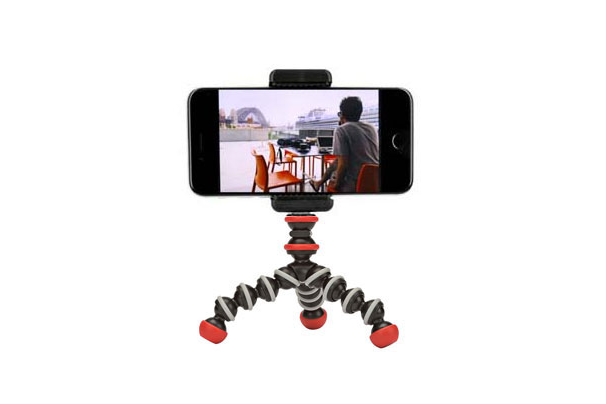 This cute little Joby GorillaPod Mini Magnetic tripod’s feet stick to almost any metal surface, giving you even more options for framing the perfect picture. It comes with a phone holder so you can either watch videos or make them! It’s small and portable, making it a great stocking-stuffer. 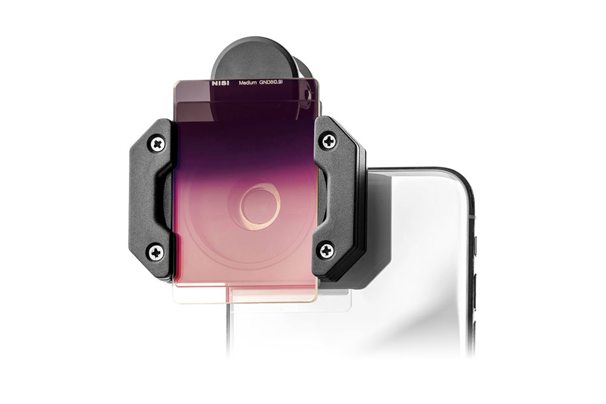 As if NiSi filters couldn’t get any cooler, they go ahead and make the P1 Prosories mobile phone filter kit. 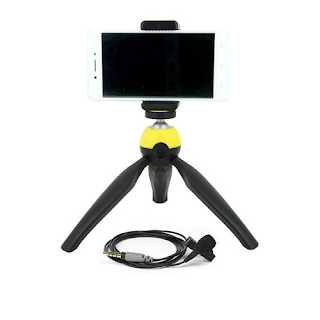 It clips onto most smartphones and adds a more creative edge to your photos and video, even before editing. This kit perfectly complements newer flagship mobiles with high-end cameras. The Feiyu Vimble 2 is a lightweight smartphone gimbal that will help you shoot awesome, steady video straight out of your phone. It’s also got a built-in extension pole so your selfies will always be on point. 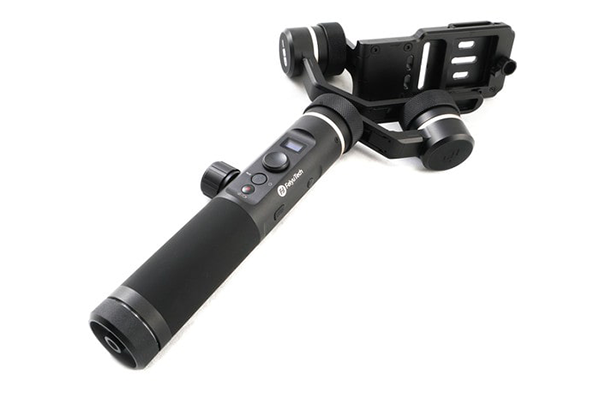 It fits most smartphones and would make a perfect gift for a budding videographer. Some smartphones say they’re waterproof, but who really wants to risk it? That’s why the AquaTech AxisGO waterproof smartphone housing is such a great idea for the beach-lover in your life. With a 10m depth rating, adventurous smartphone photographers will rejoice at finding this under the tree! 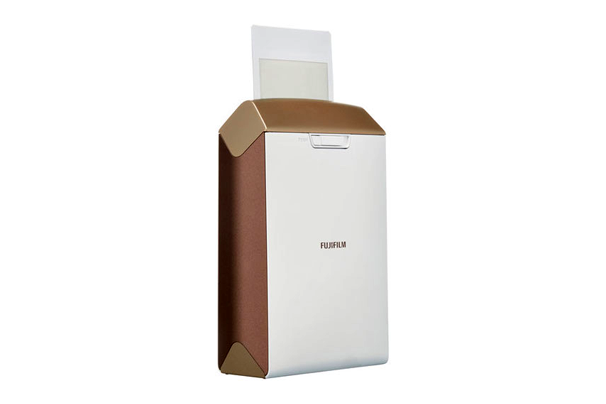 The Fuji Instax SHARE SP-2 printer is a really special gift idea. It gives you the freedom to use your phone to take and edit photos, then print a sweet little keepsake you can give to family and friends. Making memories is what the holidays is all about, with printed photos adding a nice personal touch. Action cameras and the Australian summer. Name a more iconic duo. We’ll wait. The Christmas holidays are a great time to get out and explore Australia’s natural beauty. 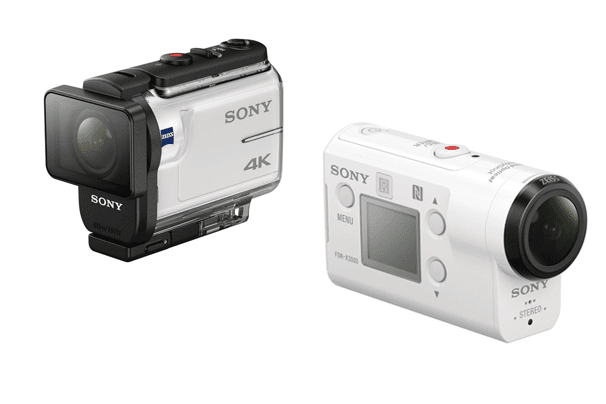 If you’re surfing, swimming, hiking, climbing, riding or driving, you’ll need an action camera to relive the moment. 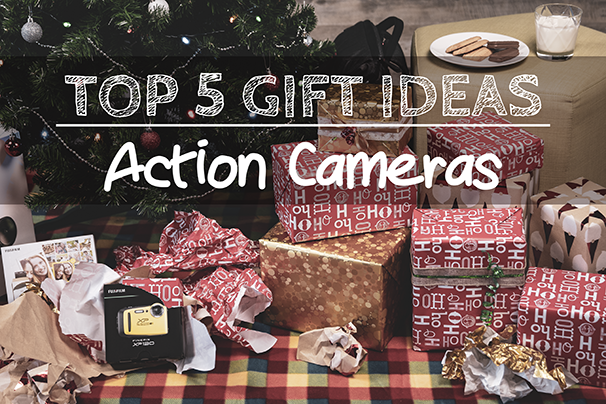 Here are our favourite action camera options this Christmas. 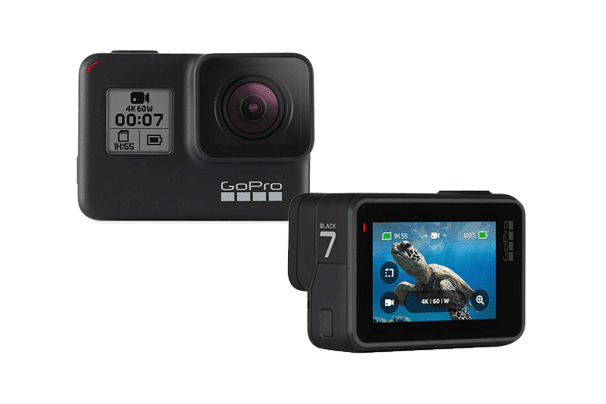 The GoPro HERO7 White is the most affordable of GoPro latest releases. Waterproof to 10m without a bulky housing, the Hero7 White is still compatible with all the standard GoPro mounts, it features better than Full HD video recording, a 2x slow-motion mode, 15fps burst mode photography and Wi-Fi connectivity. The perfect stocking stuffer for adrenaline addicted teens and adults. 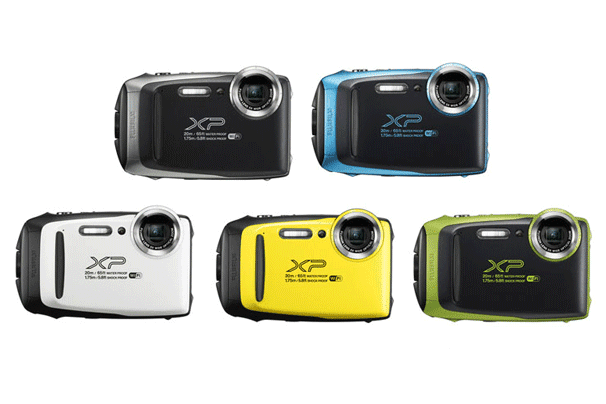 The Fujifilm XP130 is a natural choice for adventure lovers and active families. Its rugged design is shockproof and waterproof to 20 meters making it suitable for a broad range of outdoor activities this summer. Built-in Wi-Fi makes it easy to share your story with friends and family anywhere in the world. Available in 5 fetching colours! The Sony Action Camera includes a rugged waterproof housing that is ideal for snorkelers and SCUBA enthusiasts. Rated at a massive 60m waterproof ensures suitability for even the most seasoned divers, straight of the box. With 4K video recording and optical image stabilisation, the Sony Action Cam is well suited for virtually any outdoor activity you have planned this holiday season. Buy for Christmas and receive a $100 EFTPOS gift card via redemption! 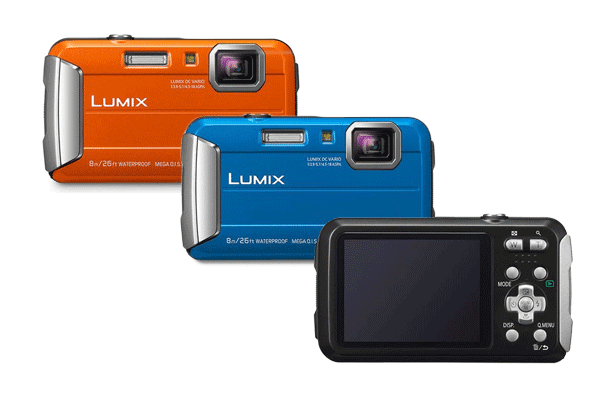 The Panasonic Lumix DMC-FT30 is a rugged and easy-to-use compact camera that’s perfect for outdoor adventures this Christmas. Our bundle includes a 16GB SanDisk SD card and floating wrist strap for extra safety when shooting in the water. With a versatile 4x optical zoom range, and excellent proofing against all elements, this camera is always ready to capture your most treasured moments this festive season. Probably the gift that everyone wants under the tree this Christmas - the GoPro HERO7 Black is the most powerful GoPro ever. 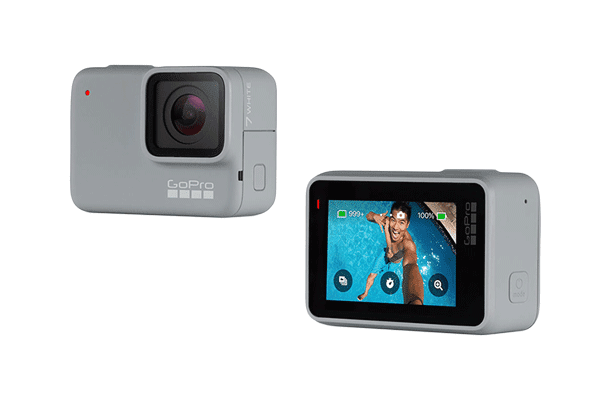 GoPro’s latest flagship model is equipped with the ability to record crystal clear 4K video footage, 240fps Ultra slow motion, HDR Photos and Hyperlapse video. Take it on your next holiday and turn your regular travel adventure into an epic story. 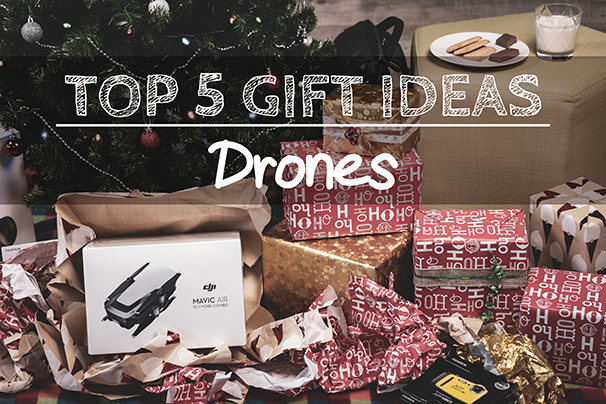 For this Top 5 gift guide, we’re focusing on that special person who loves all things video. 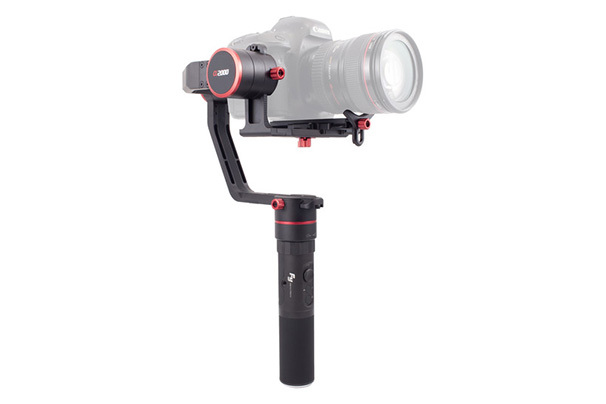 Our recommendation for someone who delights in filming and editing would be to consider getting them one of the latest and greatest video accessories, the 3-axis gimbal. But hold up! What is a gimbal and what’s the big deal? Okay, picture a handle with a camera perfectly balanced at the top. Sounds simple enough right? Now imagine that handle also has three carefully positioned motors that absorb bumps and shakes so you can record smooth video footage. 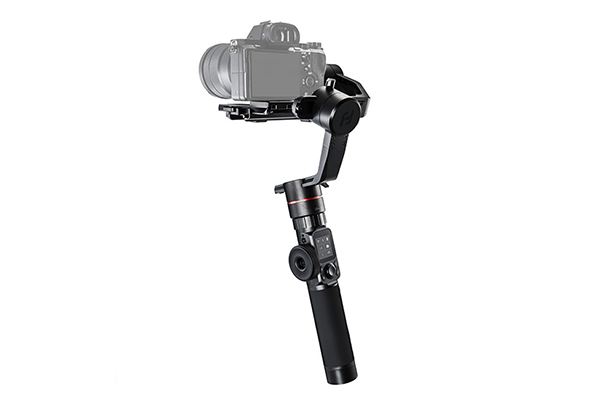 Gimbals can also react to the movements of the person holding it, which is where it starts to get really interesting. Turning the handle creates a panning movement while angling it forwards or backwards tilts the camera up and down, combine these together with some quick footwork and you can easily create some cinematic camera moves. But gimbals aren’t just for DSLR and mirrorless cameras. They are also made for smartphones perfect for mobile filmmakers as well as for compact cameras for travel junkies who travel light. Designed to support most smartphones the Smooth 4 holds up to 210g, making it a perfect starting point for someone looking to improve their video. When you have the “ZY Play” app open the large wheel on the side can control your phones focus or zoom and you can start and stop recording using the buttons on the handle. With built-in time-lapse modes and object tracking the Smooth 4 is a jam packed with features to help take mobile film-making to new heights. It also includes a Mini-tripod and a compact carrying case. For those who want something that can do it all, the Feiyu G6 Plus supports compact cameras as well as action cams too. Not only that but it holds small mirrorless cameras that weigh less than 800g. An angled rear motor provides a clear view of your camera screen which, combined with a sizeable 12-hour battery life and a unique splash proof design make the G6 Plus a highly versatile gimbal. If you’re looking for a gimbal than can handle a larger camera, the AK2000 might be more up your alley. Like the G6 Plus it has an angled rear motor, so you can see the rear LCD of your camera but unlike the G6 it can hold a whopping 2.8kg payload. 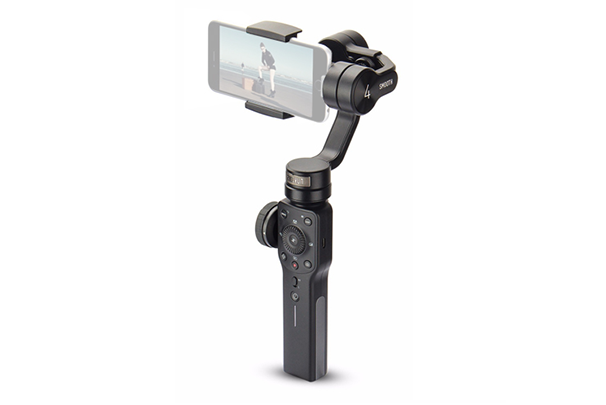 It is the only gimbal with a touchscreen control and it has a control ring that makes changing settings easy and quick. The AK2000 also introduces a new “space” mode that follows movements on the tilt axis, a real-time follow mode for filming fast paced action and a built-in time-lapse function. 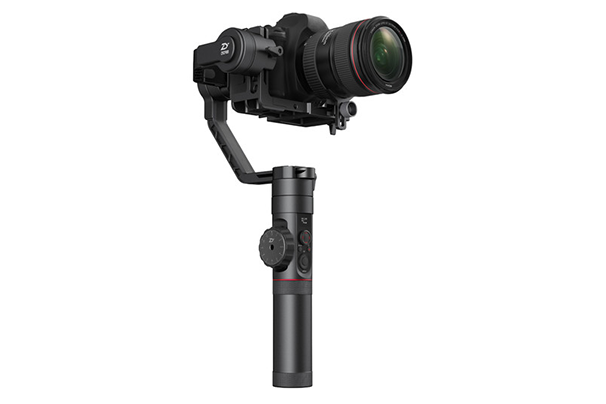 Zhiyun’s Crane 2 is one of the most popular gimbals available for full size DSLR and Mirrorless cameras. With a hefty 3.2kg payload, a large follow focus wheel on the side of the handle and an impressive 18-hour battery life it’s easy to see why it’s so popular. A removable quick release plate makes setting up easier and the gimbal features a gradual power down function for safe operation. The Crane 2 also includes a carry case, mini tripod stand and a mechanical follow focus controller. Named after Australia’s smallest bird, the Zhiyun Weebill LAB is a powerful, but most importantly, a very portable gimbal. The arms are lockable to make balancing and transport easier, while the small size and weight of the unit makes it a breeze for travel. 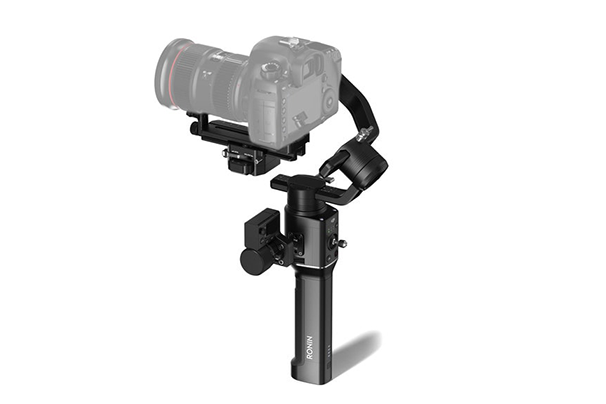 An innovative design allows the grip to be moved between two points on the handle, making it easy to shoot in the popular underslung mode for those low perspectives. 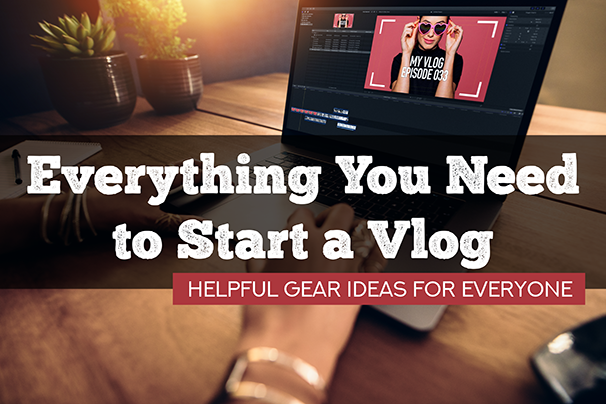 Combine that with a 10-hour battery life, a high-speed GO mode, and wireless image transmission for real-time monitoring and you’ve got a comprehensive little gimbal that can do it all. A list of the top 5 gimbals wouldn’t be complete without mentioning the DJI Ronin-S, which is so popular there is a global shortage. We currently have limited stock, but they won’t last long so it’s best to contact us to confirm availability. DJI have built the Ronin-S for professional use with one of the largest payloads of 3.6kg, as well as 3 customisable speed settings and a super responsive sports mode. The gimbal also features a roll 360 mode for unique shots as well as support for follow focus control. 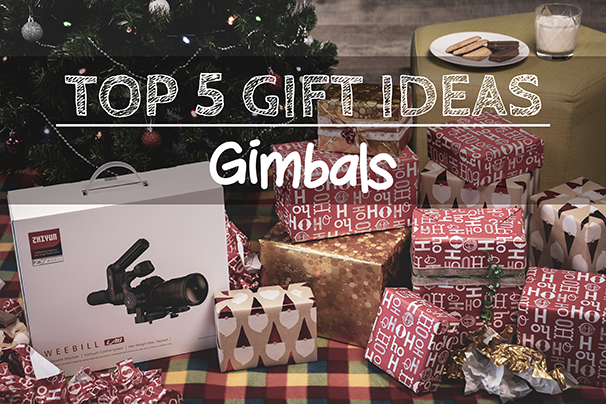 Hopefully this helped to explain what a gimbal is and some of the different ones that are available and maybe even highlighted one or two that might be the perfect gift for someone you know. Keep in mind that if you can’t convince enough friends or family members to chip in for a group present you can always grab a DCW gift voucher instead to contribute.